We saw the combo body and chassis at NAIAS 2011, Now we seet eh chassis technology at the NAIAS 2012. 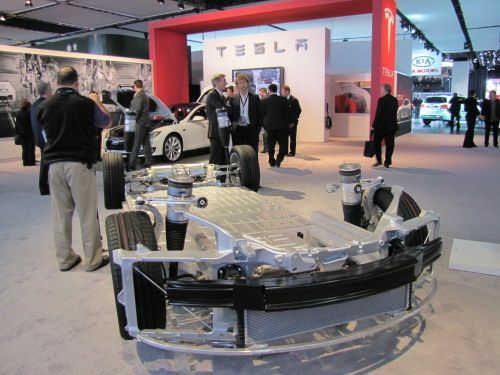 The rest of the photos show a progression from lasy year in tune withthe release of the Tesla Model S by mid-2012. Be sure to read the feature article with video link of the chassis display. Don't you got an rss feed on this page?